Most brain injuries are caused by motor vehicle accidents, slips and falls, or by an electric shock. However, in some rare and unfortunate cases, brain injury could be a result of medical negligence. Medical negligence is unacceptable in any form. The patient entrusts their life to the care of health care professionals, but negligence on the part of doctors, nurses, medical staff, or the anaesthesiologist can cause severe injuries including brain damage. According to Missouri medical malpractice attorneys, brain injuries resulting from medical negligence differ in severity from mild injuries that cause temporary problems to catastrophic injuries that may have life changing consequences. There are various ways in which brain injuries can impact the health and well being of an individual. Brain injuries can cause memory loss, cognitive difficulties, poor concentration, and in severe cases, permanent brain damage and physical disability. The most common brain injuries caused by medical negligence are caused during childbirth. Lack of oxygen supply to a child’s brain during delivery can cause a condition known as cerebral palsy. It is a name given to a group of conditions that involve brain abnormality and disorder of motor functions. Common problems faced by individuals suffering from cerebral palsy include difficulty controlling muscles, writing, walking, eating, dressing, or talking. Individuals with cerebral palsy have learning and coordination problems. Another common medical error that causes brain injury is overdose of medication. An overdose of certain medications can cause swelling to the brain, and it may lead to permanent brain damage. There are two ways in which a medical error can cause a brain injury. First, during a brain surgery, the surgeon can negligently damage a part of the brain. Second, while performing a surgery on another part of the body under general anaesthesia, inadequate supply of oxygen to the brain can cause permanent brain damage. Lack of oxygen supply could result from a cardiac arrest or a problem with oxygen supply to the patient. Delay in diagnosis or misdiagnosis of a condition can cause a delay in treatment, which can in turn cause brain injury. Some diseases such as brain tumor, stroke, brain haemorrhage, meningitis, epilepsy, or encephalitis, if left undiagnosed, can cause permanent brain damage. In some cases, infections contracted during surgery can cause permanent brain injury to a patient. The infection may be a result of the use of unsterilized surgical instruments or failure to follow hygiene standards. 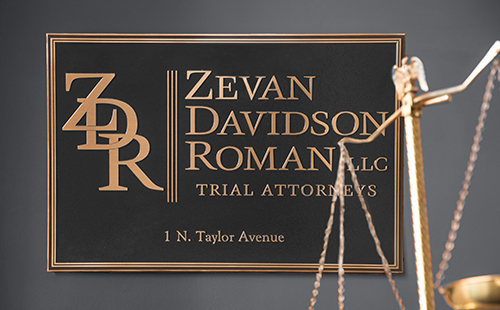 If you believe that your loved one might have suffered a brain injury as a result of a doctor’s negligence, consult with Zevan and Davidson Law Firm at (314) 588-7200.